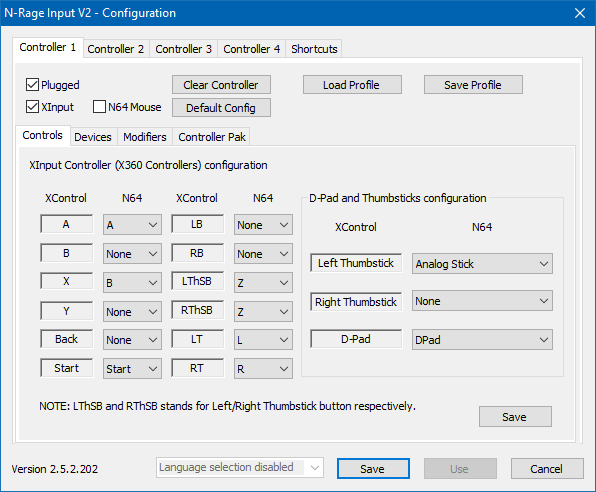 I'm trying to use a wired PS4 controller using the DS4 Windows tool so that the controller will be recognized as a Xbox 360 controller. It's picking up the controller just fine, but when I try to edit the controls (by default the B and Y buttons are set to "None") they will not change. When I exit out and come back, the values are back to "none". I've tried to save the controller profile to the Project64 2.3 directory but when I load it, the B and Y values are still "none". How can I get my controls to save?! What plugin are you using? But, when I click Save at the bottom right, then the Save button under it to exit out of the settings, bringing them up again shows that all the C button bindings have been removed, so the problem seems to be specific to those. Like the OP I've tried saving the profile and loading it, but that doesn't help either. I also downloaded N-Rage V2 2.3c and tried out mapping the C buttons with that, and doing so makes Project64 close entirely when I click the save button, rather comically. Last edited by Tenshi Cat; 12th September 2018 at 06:47 PM. Hmm, maybe someone can check it out, but I wouldn't hold my breath. Looks like being unable to bind anything but the right stick to the C buttons will remain a known issue with the latest version of Project64, then. I'd best try some earlier versions and see if it works in them. Edit: I tried out version 2.3.0.210 and can confirm that it has the same problem. Edit 2: Okay, I've figured out a solution! 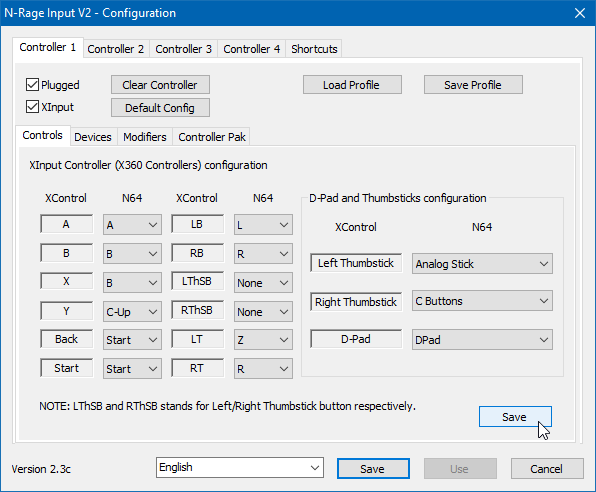 I tried version 1.6 of Project64, and that one's controller plugin actually does save the C button bindings. So I tried out the plugin with the latest version of the program, and it still works! Here's a link for you to download it. Last edited by Tenshi Cat; 14th September 2018 at 02:52 AM. And with this one, you should actually be able to map the C button controls! How can I get my controls to save?! I think you could edit the cfg file, but you'd have to know what to write. 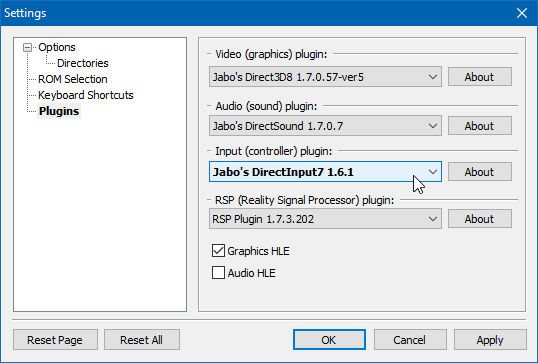 Using Jabo's input as you mentioned is a fine alternative imo. Sorry for the double post on my part. The first post got hidden, presumably because the automatic spam filter didn't like me linking to a DLL file download, so I wrote the second one to explain how to get it without me linking directly to it. Hi Tenshi Cat I just wanted to thank you! This solved a different issue I was having. the latest plugin was not recognising saved configs for multiple controllers, only 1. But by switching to the older input plugin you mentioned, it just save one config per game and use it on multiple controllers. I probably didnt explain that well at all but the main thing is you solved my issue so many thanks! The problem is still presents in March 2019! Too bad.